Medical Subject Headings (MeSH) RDF is a linked data representation of the MeSH biomedical vocabulary produced by the National Library of Medicine. MeSH RDF includes a downloadable file in RDF N-Triples format, a SPARQL query editor, a SPARQL endpoint (API), and a RESTful interface for retrieving MeSH data. Look up terms in the MeSH vocabulary. Example: Find all MeSH Descriptors and Concepts with "infection" in the name. Find any assertion in the MeSH vocabulary. Example: Get all of the pharmacological actions for a given substance. Download any subset of the MeSH vocabulary using SPARQL. Example: Get all descriptor labels and identifiers. Get all entry terms for a MeSH Descriptor. Example: Get entry terms for Ofloxacin. Get definitions for a MeSH Concept. Example: Get definitions for Bicuspid. Get all descendants of a MeSH Descriptor. Example: Get all MeSH Descriptors that fall under Neoplasms. Download all MeSH RDF triples in one file. To provide feedback, please visit us on GitHub. Download MeSH in RDF N-Triples format (mesh.nt.gz). Query MeSH using SPARQL. See our sample queries. Request data for specific MeSH identifiers or using SPARQL queries. Documentation includes sample queries, MeSH data model diagrams and more. 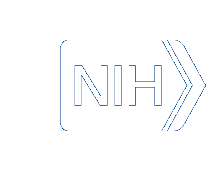 Visit our GitHub repository and submit an issue or contact NLM Customer Support.